The Johnston Community School District had experienced a tremendous amount of growth with its student population and needed more space to accommodate enrollment. A new 160,000 sq. ft. middle school for students in grades six and seven, designed by Frevert-Ramsey-Kobes, accomplished their growth objectives. 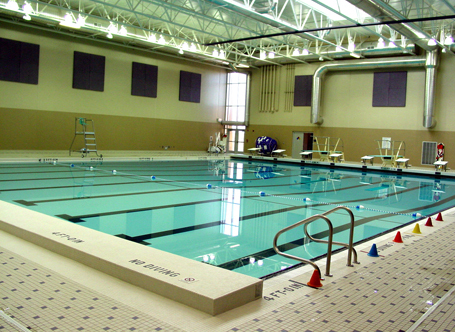 Counsilman-Hunsaker was commissioned to design the natatorium component of the school, which consisted of a 25-yard competitive pool with eight lap lanes.